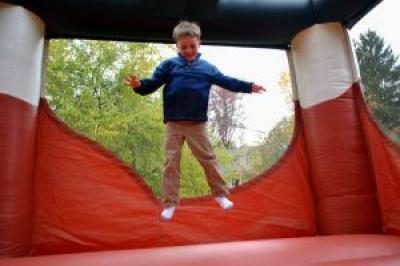 A new study by researchers at the Center for Injury Research and Policy of The Research Institute at Nationwide Children’s Hospital examined pediatric injuries associated with inflatable bouncers, such as bounce houses and moonwalks. Researchers found that from 1995 to 2010 there was a 15-fold increase in the number of inflatable bouncer-related injuries that were treated in U.S. emergency departments among children younger than 18 years of age. In 2010 alone, more than 30 children per day, or about one child every 45 minutes, were treated in hospital emergency departments for injuries associated with inflatable bouncers.